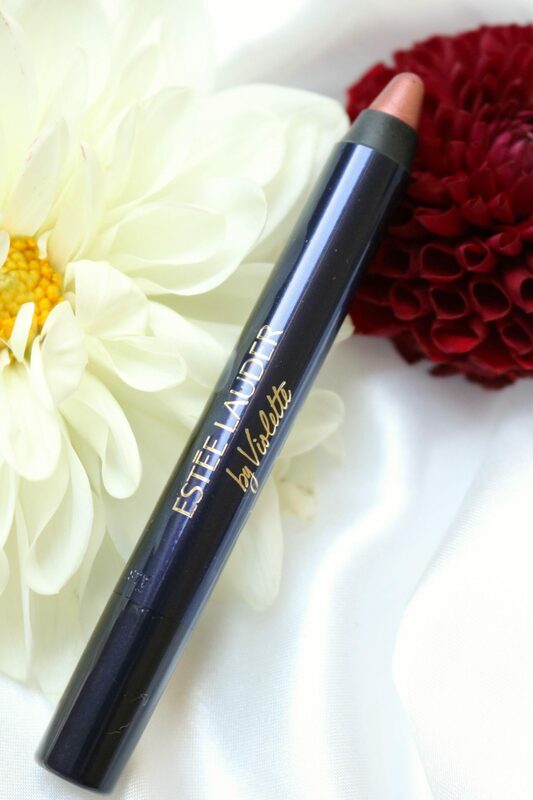 Not so long ago I reviewed the collection that Violette, the Global Beauty Director from Estée Lauder created which was the Poppy Sauvage. 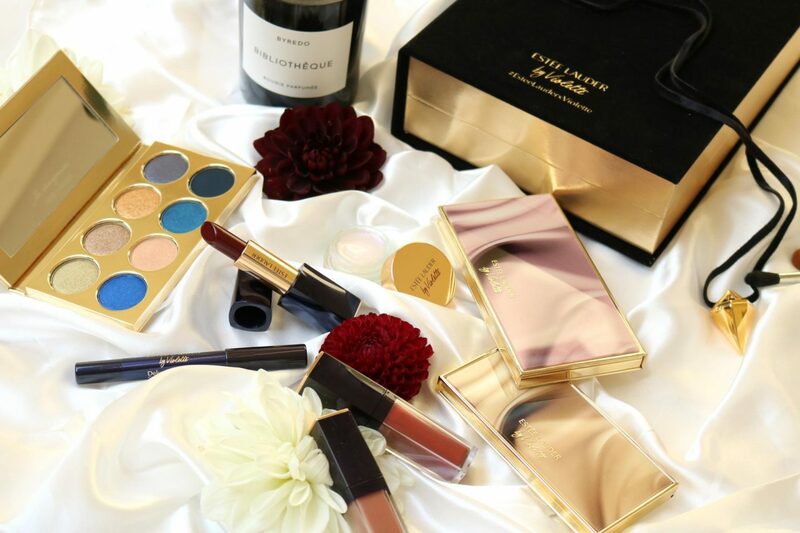 Now she has another new collection that is again a must for us beauty junkies! 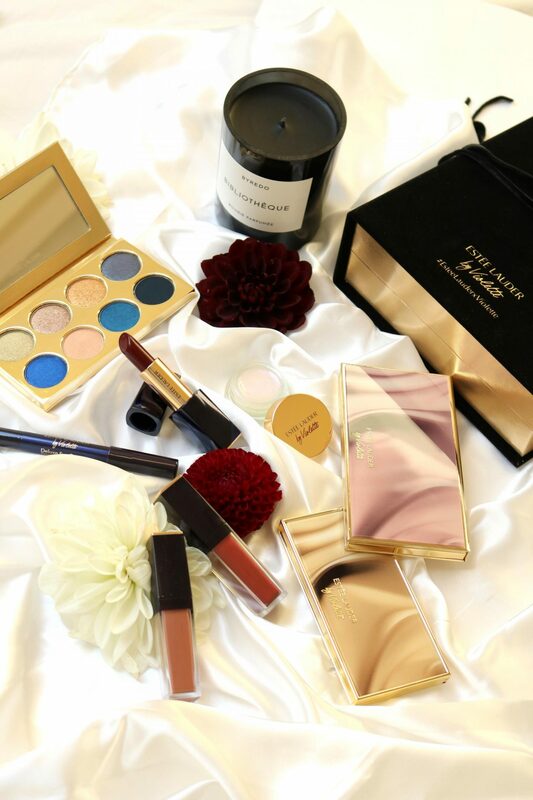 The La Dangereuse Collection is perfect for this season and has the most beautiful packaging I’ve ever seen. A mix of warm and cool tones, deep reds and glitters. Already getting curious? Head over to my review to get a nice impression of the collection. This limited edition collection is inspired by Femme Fatale and is dangerous, irresistible with Violette’s touch: versatile and wearable for every day. Then comes maybe the most exciting part of the La Dangereuse collection: the 8 Pan Eyeshadow in Blue Dahlia and Amour, Amour. 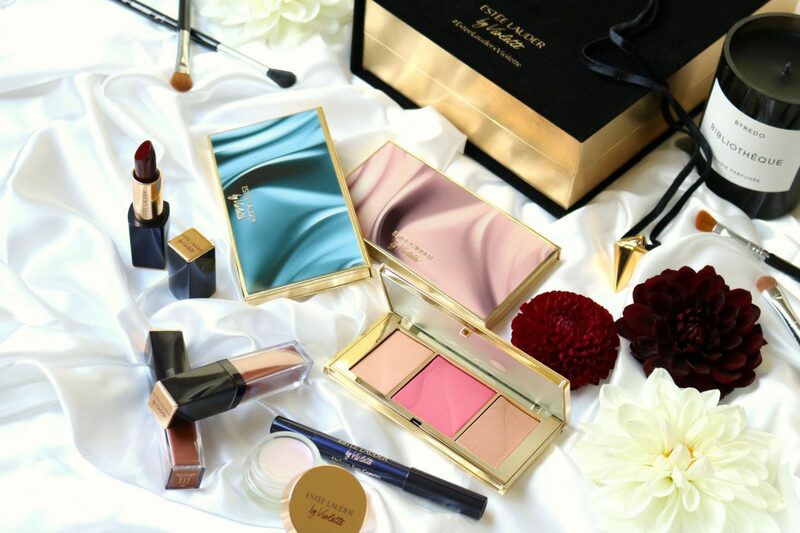 Both palettes have a stunning packaging that look like twins. The front also gives a little sneakpeek of what’s inside. The pink palette contains the warm red shades that is named Amour, Amour. 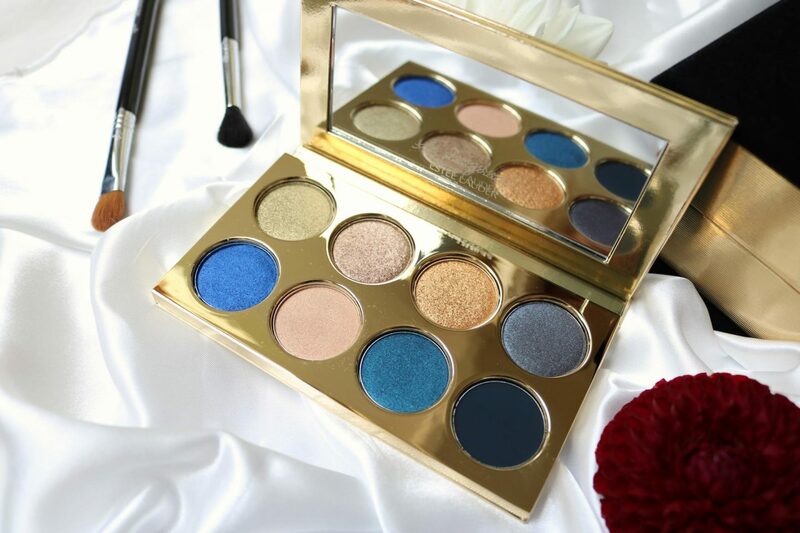 It has a great mix of mattes and shimmers that will create a festive look with a pop of gold glitters. The blue palette has some cool tones with lots of blue and green, which is the Dahlia. I’ve never seen such a beautiful palette and look at that vibrant shade of blue! 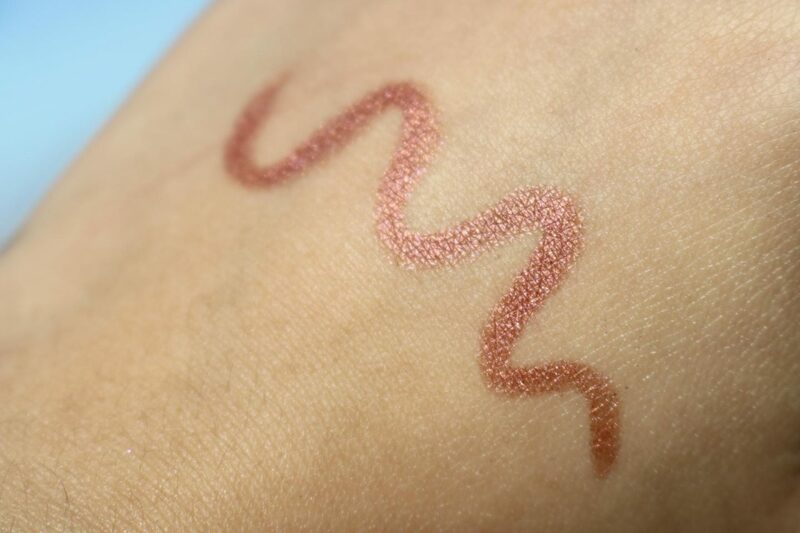 When I was swatching it on my arm I was blown away how pigmented this shade was. This must be my favorite shade of both palettes. I shared the swatches on my Instastory and I never received so many comments about an eyeshadow that I swatched. Not all eyeshadows in both palettes are that pigmented as the kobalt blue as you can see. Some mattes of the Amour, Amour palette don’t pick up very well on my fingers while others are super smooth. First I thought that the Pure Color Envy Sculpting Face Trio in Swirling Passions was a bronzer, blush and highlighter but the first shade is apparently a soft blush to swirl out the pink blush when you want that soft touch. At first I couldn’t understand why it was such a weird shade, but now I understand. 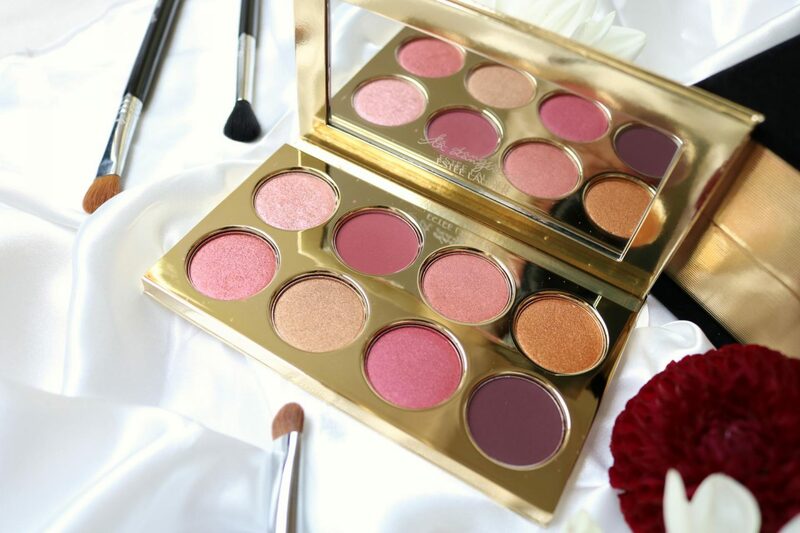 There are 2 blush shades and a highlighter to create a soft glow on your cheeks with a pop of color. The name swirling passions is because Violette advice to use the two blushes together to fade out the pink a bit. I prefer using it as a really light shading powder and the blush on top. The color of the pink blush is perfect for fall and has this really beautiful glow on the cheeks. 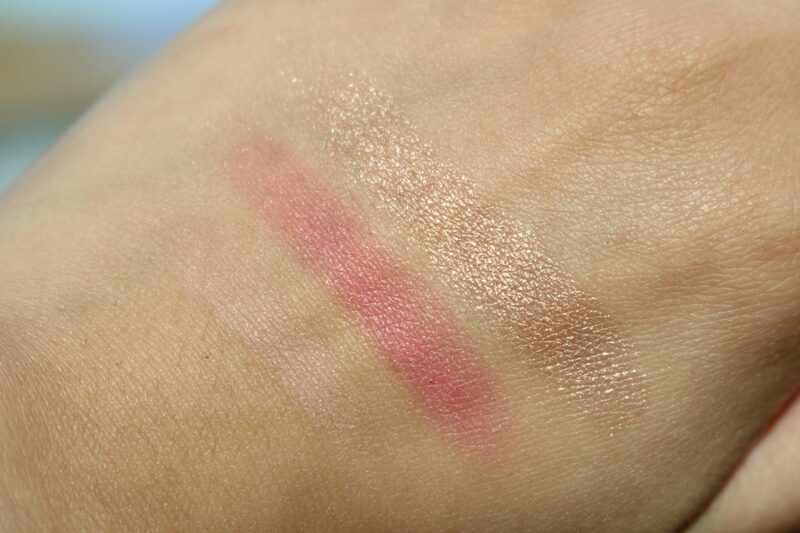 I think that this kind of pink will look great on every skin tone because it is the signature pink blush shade. 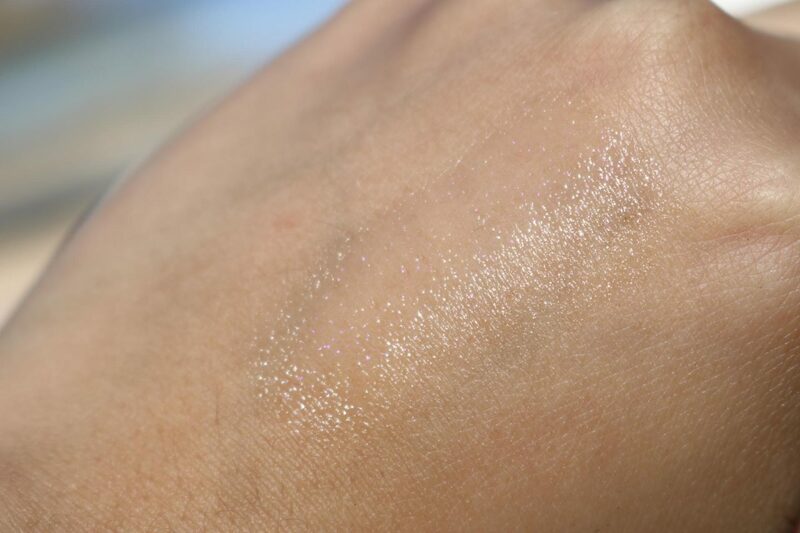 The highlighter is this gold/peachy shade that looks amazing on the skin. I kinda of a BECCA feeling when I touch the highlight powder, it is so soft and blends beautiful! If you are following the runway makeup looks, you may see the models with some oily shiny eyelids. It is the look of the season. Create this effortless look with the Eye Gloss in Sheer Scandel on the lids and under the brows for that touch of glitter and dewy look. Can be used on top of eyeshadow or to create this smudgy look. If you have dry-looking skin, this will also look great on your cheekbones. As an oily skin girl I would prefer using this under my browbow. The Pure color Envy Paint-On Liquid LipColor range (damn, that is a long name) belong to my top 5 liquid lipsticks that look nice and set beautiful matte on the lips. I own approximately 8 shades by now and each of them are gorgeous and unique. The shade Naked is something I wouldn’t buy so fast because these nudes/brown kinda colors can look very pale on my yellow skintone. Even tho Estée Lauder says that it complement all skin tones, on my it looks really weird like my lips has disappeared. 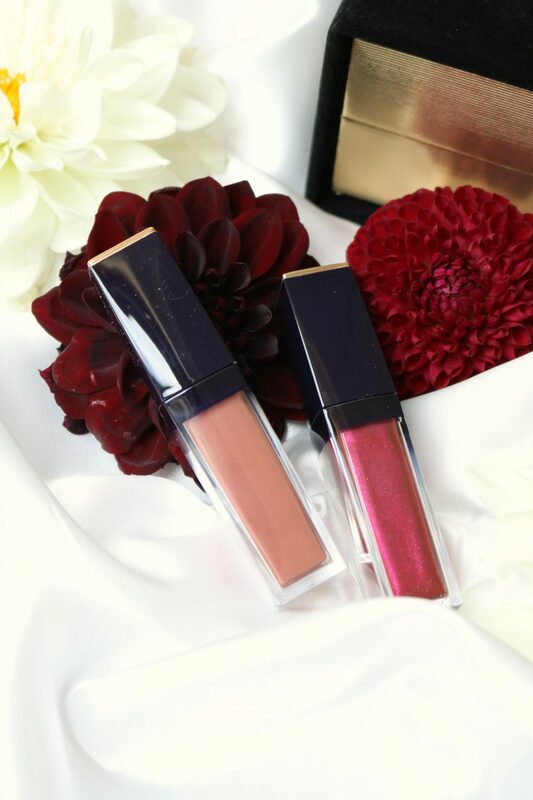 The Pure Color Envy Sculpting Lipsticks are another must of the Estée Lauder makeup collection. 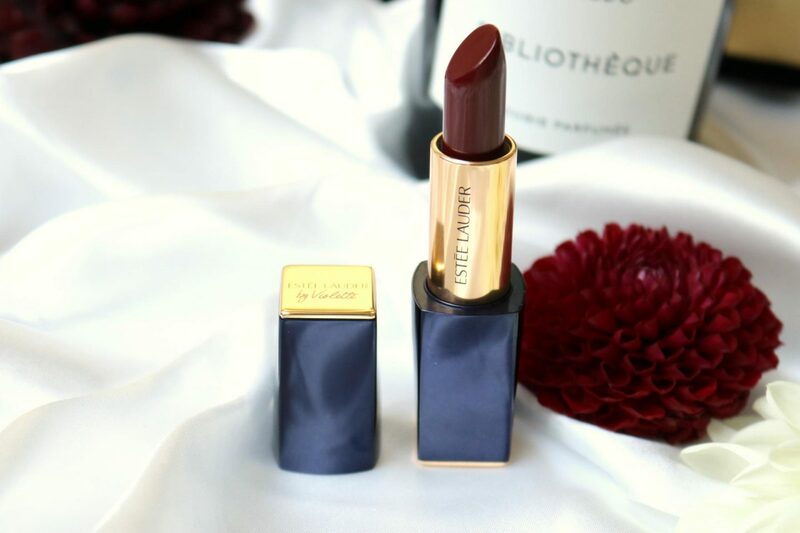 When I was young I always wanted to own the Sculpting Lipsticks because it has a classic and beautiful packaging, and they had this versatile shade red which was on my wish list. It’s been a while since I used a lipstick because I prefer a liquid lipsticks so it stays longer on the lips. 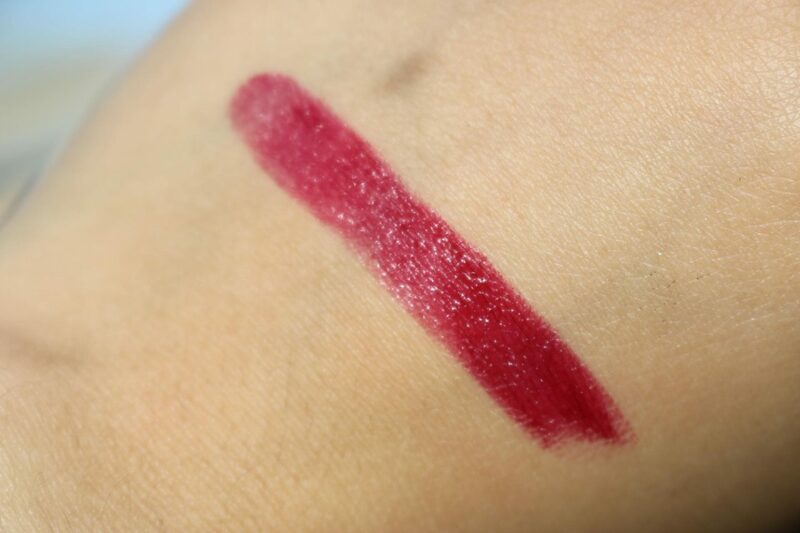 I used it several times on my lips, but because the shade is so intense and bold you can see everything. When I was drinking or eating I had to immediately reapply my lipstick because there was this empty gap between my lips. I think this won’t happen it you had a lighter shade of lipstick. Dark colors are always hard to wear, but I do have to admit that the shade Diabolique is very beautiful. The finish is more of a satin because it won’t stay long on the lips, but it doesn’t dry them out. With the precious Violette collection there was also an eye pencil in it. I’ve been using that pencil non stop, until I received the Eye Crayon in Sly & Sultry. This pencil is a more copper share compared to the other that Violette created for her previous collection. I like the finish more of this pencil because in my opinion it last longer and the copper makes my eye pop and look more wide and open. Perfect when you are too lazy for an eyeshadow or eyeliner. I use this all the time when I go to work: apply a simple line nearby the lash line or smudge it for a more smokey look! I’ve been a big fan of Violette since she created her first collection. The La Dangereuse screams color, brightness, change and mystery. I just love the eyeshadow palettes because they are so unique in their own way and also the concept in how they are created. The blue palette is my favorite because it contains the most beautiful shades, but not something I would use on a daily base. If there is one thing you should try from this collection, that it would be Dahlia blue eyeshadow palette and the Eye Crayon. The palette is just gorgeous and had the perfect shades for the coming holidays. The crayon is an easy and such a versatile product, I use it almost every day when I’m too lazy to apply eyeliner. 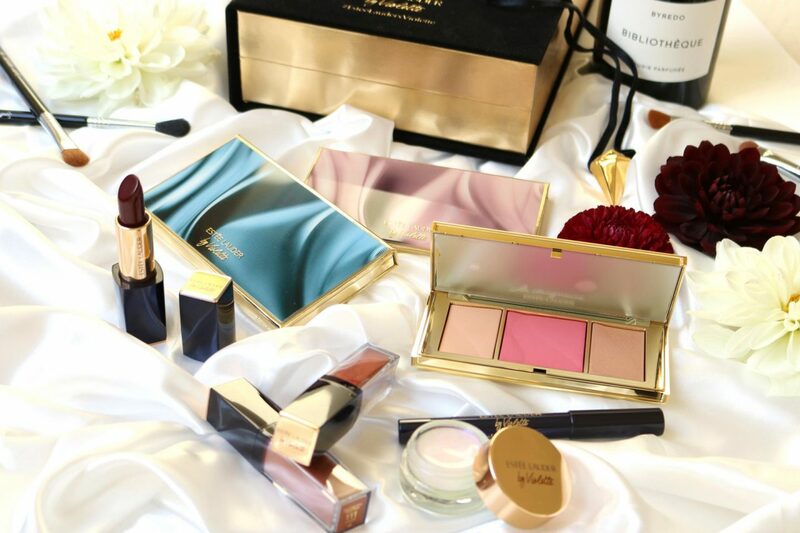 And how can you resists the beautiful packaging of this collection? You should at least try one product! I’ve heard that this collection is not available everywhere, which product are you the most excited about? 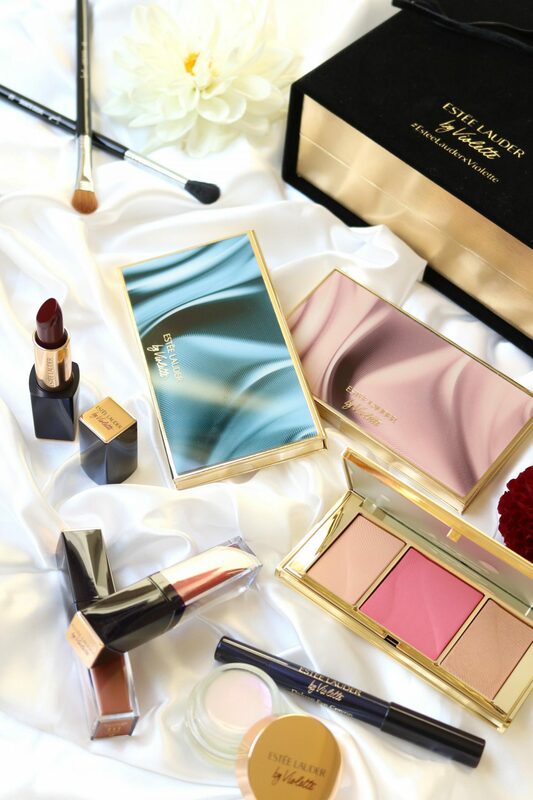 You can get your La Dangereuse items at De Bijenkorf at the Estée Lauder counter or on the official webshop. Next Post Crackling wood and baby powder? Try out WoodWick! What a stunning collection! Not even sure what my fave pieces would be – I’d love to try the eye crayon and the palettes look so luxurious. I love the look of everything in Violette’s La Dangereuse collection. I am most drawn to the Pure Color Envy Sculpting Lipsticks. This is such a pretty collection. 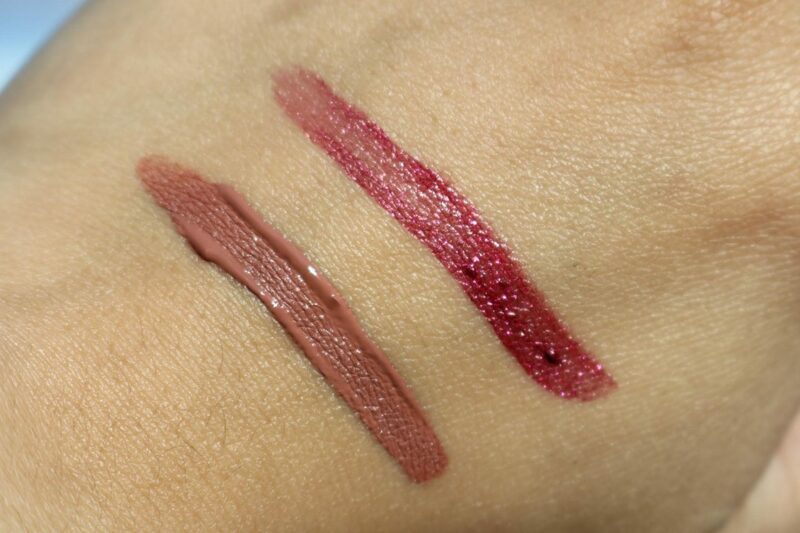 I’m really impressed by the look of the texture of the lipsticks. They seem to be so nice and creamy, love that!